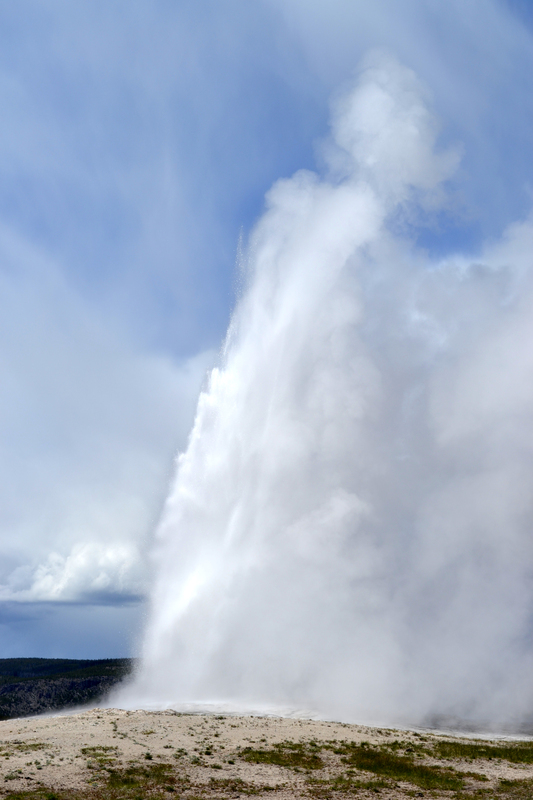 Like Old Faithful, I need to let off steam on a regular basis. So, fellow immigrants from Western Europe, wherever you are, I have a question for you. Most of us spend the majority of our time writing expatically correct—and in my case Americally correct—posts, demonstrating how well we are adapting. I’m no exception. With tongue in cheek, I can write a halfway funny piece about pretty much any random, absolutely unimportant quirky cultural difference. See my The Gap post. Yeah, it’s not hard to make fun of American public toilets. People love posts like this. Or posts in which we write about the personal growth we experience, thanks to being permanently outside our comfort zone, and how grateful we are for this growth. And we even manage to believe it. We are able to take a step back and look at our environment and ourselves in it from a distance and laugh. Or at least shrug our shoulders. I do, anyway. Most of the time. Next time. But do you ever have moments that you hate the country you’re stuck in so deeply that you want to scream it to everyone you see? Except they can’t hear you because they’re all in cars, and the ones you most want to scream at are blithely driving around with their windows up, getting Rush Limbaugh fed into their unresisting brains? Do you ever get so completely furious that your nose explodes and you have to hang over the sink looking like a feeding zombie for an hour before the bleeding finally stops? Do you ever feel so powerless and helpless and lonely that you almost don’t care if they’d take you away in a straight-jacket, because you feel like you’re losing you mind anyway, so that would be totally appropriate? Do you ever break down when you’re alone and admit out loud that you just want to go home, and does it tear you apart at moments like that because you know that’s never, ever, ever going to happen? This entry was posted in Emigration / Immigration, Police, Society and tagged America, American police, emigrants, emigration, emotional aspects, expats, immigrants, immigration, police state. Bookmark the permalink. Ik kan me goed voorstellen wat je voelt, ook al woon ik in het oude vertrouwde hier. Prachtig geschreven, woede (kwaadheid, frustratie)) kan een mooie katalysator zijn, en zorgt voor die extra vlam. Being an “unfortunate” American I’m afraid I don’ qualify as any sort of an expat (other than an being an expat from Illinois; although our country was first settled by a bunch of disgruntled Dutch expats, as I recall). But I can certainly understand the idea of being homesick and the occassional desire to want to click your heels three times and be whisked away back to… well, in your case, the Netherlands. We all tend to find our sanity buried in the insane roots of our respective pasts. I am reminded of a quote from some Dutch fellow named Henri Nouwen (you probably know his family because we Americans think everyone knows everybody in Holland). “When we become aware that we do not have to escape our pains, but that we can mobilize them into a common search for life, those very pains are transformed from expressions of despair into signs of hope” So, borrowing on that “Dutch” theme, hopefully you might find some inspiration to press on here in America (or.. Amerika, if that’s what you prefer) and turn your despair into hope of eternal bliss.. in Texas. On the other hand… and I can speak from some measure of knowledge on this one… you do reach an age where you have far less years left in front of you than behind you. Life is indeed too short. If you are in a place that you don’t want to be.. then don’t be there. I may be wrong, but I think your reactions are prompted by living in the US. There are aspects of Canada I find irritating, but that goes for the Netherlands, too. I don’t like to see power lines hanging along residential streets; I think our mayor here in Toronto is a bad joke; I don’t much care for Ontario winters, or the summers either; Torontonian driving habits are almost as bad as Bostonian. But these are minor things. Canada is OK. It really helps that, unlike the US, Canada is not a world power. But, but… I don’t hate this country, I love it here (New Zealand). Wow, nice angry piece with the final motivation at the end. I felt the same way sometimes in the past. As an ex-expat, i feel a lot better now. Became a US citizen last year just because my family and me had no need to return to the Netherlands. I can get angry about the NSA bull sh!t and then call my congressman and complain. Not that it will help but it is a way of coping I guess. Keep your mind raging anfd keeo upvyhe good work. I read your blog all the time. Ps. Lived in Austin for 6 months. I am an American expat living in the UK. It’s not that I miss home, because I don’t. It’s just that some days are just lonely and I live in a place I feel I will truly never fit in or be fully accepted. Yeah. On a daily level, some towns can be harder to adjust to than others, as well. Hang in there. Sorry, I have to admit that I’ve yet to move out of my own country. But I can say I have had that response to living with my teenage son! Is it the same thing? Well, even if it’s not, you will eventually get over it and my son will eventually grow into his brain. We both have something to look forward to, until then I suggest wine! Yes, it’s just like that, only different 🙂 We all have that one thing that makes us see red, I suppose. For me it’s cops abusing their discretionary powers. For others it’s teenagers. Luckily mine don’t ever make me that angry, because I don’t think I could handle more than one issue like that.